Just as the name suggests this Christmas event is out of the ordinary. The location is prime and ideal;situated at the center of Karura forest a midst tall green leafy trees. The surroundings create a cool and laid back sort of atmosphere favorable for shopping. 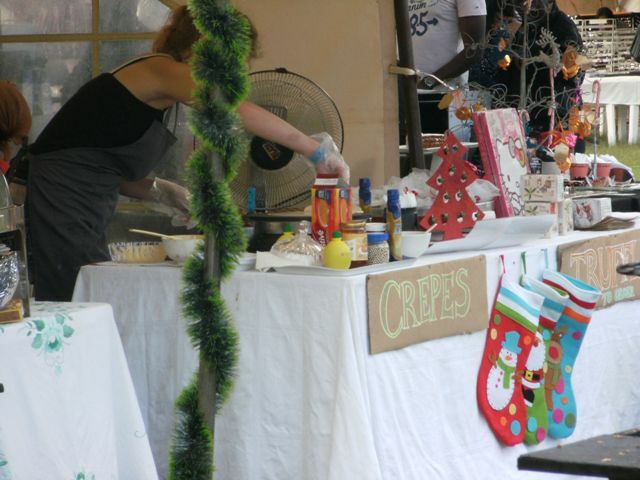 Bizarre Bazaar Christmas fair is a yearly event that brings together an eclectic mix of artisans whom showcase their works of Art. It is an opportune time for people to mingle,buy Christmas gifts or simply spoil themselves. This event is always dubbed by the unique items on sale, lovely entertainment and great food. 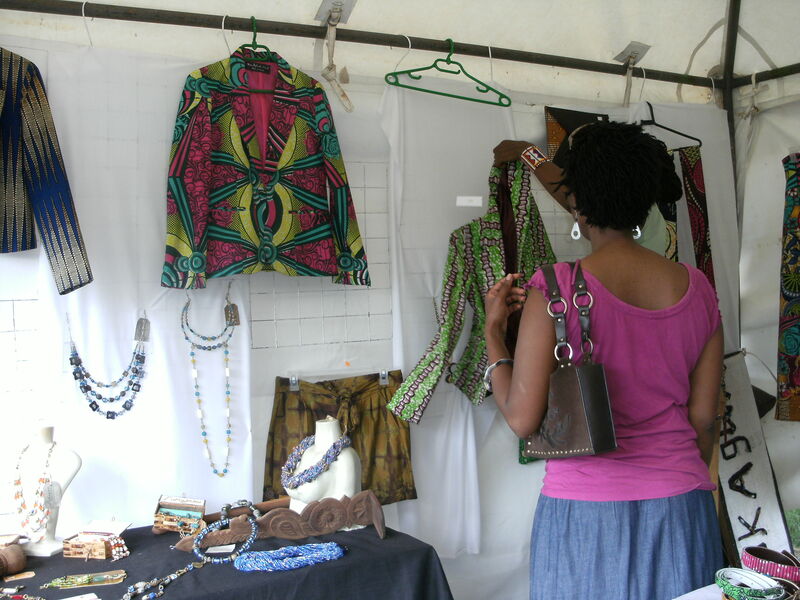 This year Lukagwa African Art& Jewelers was accorded the opportunity to showcase its collection of authentic African jewelry. It is only the chosen few who get this opportunity we were proud to be associated with Bizarre Bazaar. The big wigs in the fashion and design industry were definitely present the likes of Zinj,Adele Dejak,Maro,Afri Kindu,BJ Crafts,Sandstorm Leather,Rift Valley Leather and so on. 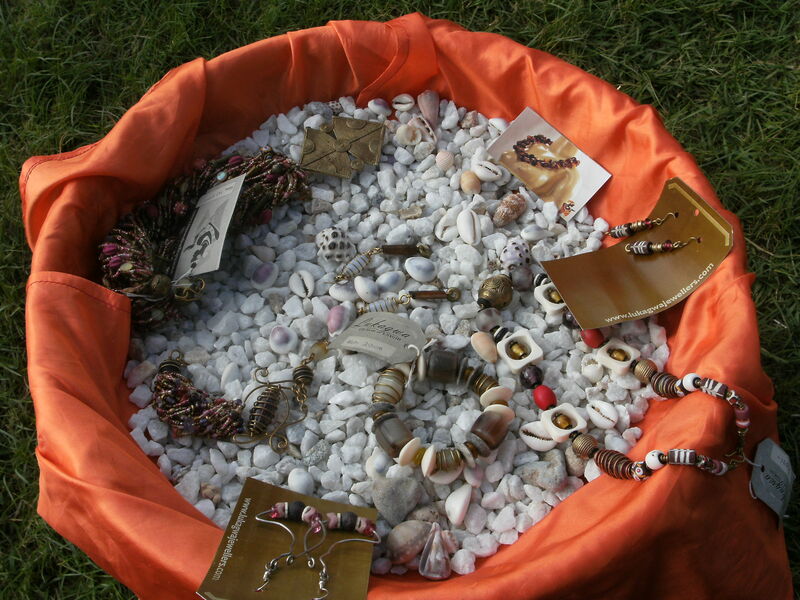 We chose a coastal theme for our display since our jewelry collection is inspired by Shela island in Lamu. On display souvenirs from the pristine sandy beaches of Shela island were spotted.We chose to use the antique Lamu wooden candle stands,their traditional horn trumpet that was used to call for a meeting and the handwoven mats popularly known as “Mia”.In a bid to add flavor we used shells that i hand picked from the sea shores to create that feeling of the sea.I chose muted colors like black and white background to compliment my colorful pieces of jewelry. Black fly designs rocked the event with their fabulous Vitenge jackets and leather belts.Their popular style of retro boy jackets made from Ghanaian fabric was definitely a plus. 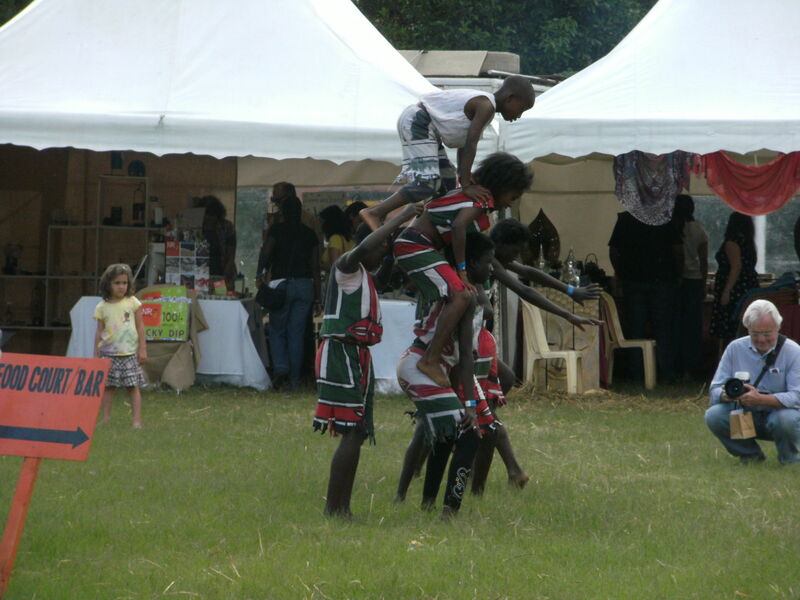 In line with the theme of the event Brew Bistro brought the house down with their awesome cocktails and locally brewed beer.The children from Kibera effortlessly kept us entertained with their dances,recitals and acrobatics.For those whom didn’t make it to the event we captured the beautiful moments to share with you. You can buy our product from our online store http://www.etsy.com/shop/Lukagwa.